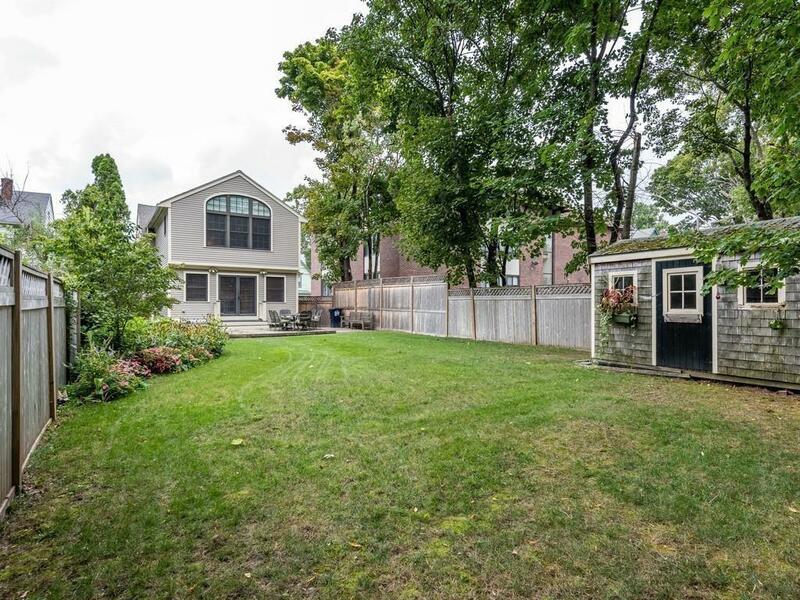 Enjoy the luxury of living in a beautifully renovated and expanded Garrison style single family home with one of the largest and most exceptional gardens in the area. The three-level addition was designed not only to meaningfully enlarge the living space, but to give a dramatic view of, and easy access to, the patio and lush backyard through double French doors in the living room. The open floor plan makes the main floor feel light, airy and spacious. The layout creates an inviting space ideal for entertaining as well as comfortable family living. There is an eat-in kitchen as well as a separate dining room with a charming bay window. This 3-bedroom/3-bathroom home has 5 zones of central heating (hot water by gas) and 2 zones of central A/C (units on the lower level and third floor). It is conveniently located close to Porter Square public transportation and amenities as well as Raymond and Danehy Parks and area bike paths.